The team at Taxi Studio teamed up with Bristol's Festival of Print (hosted by The Letterpress Collective) to create a selection of collaborative artworks as part of the music-themed exhibition at Centrespace Gallery. 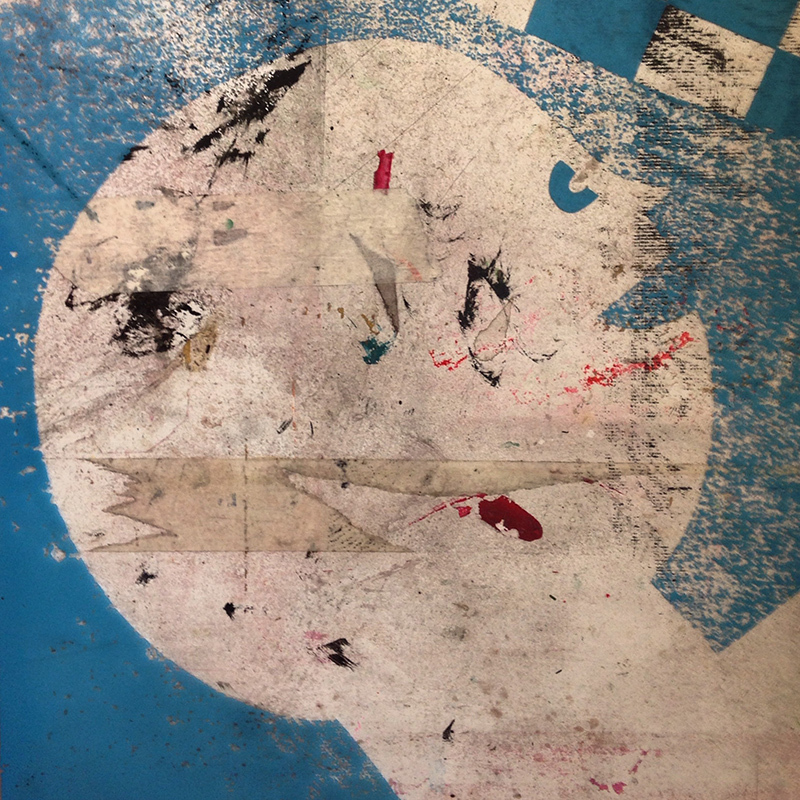 The task was to add to a sheet of A2 already letter-press printed with the image of a 7" single b-side. 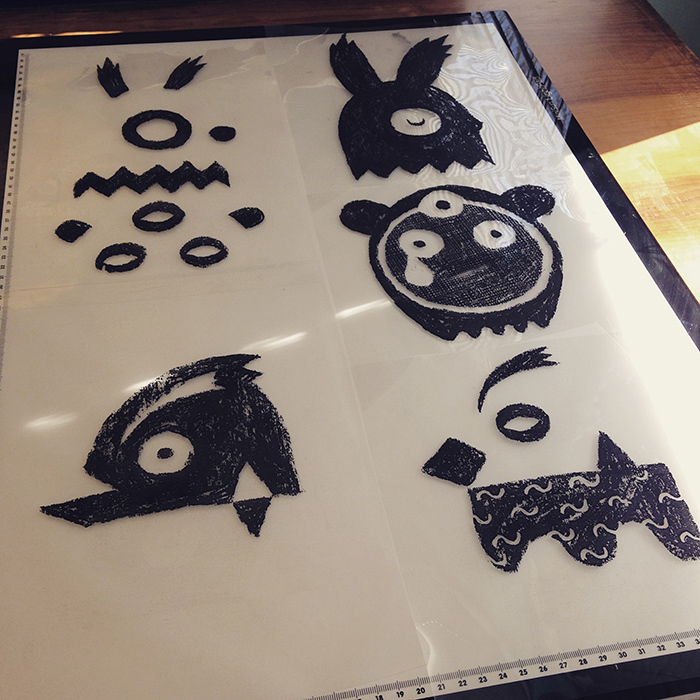 I had a lot of fun with this one and wanted to also use a method of "print", so screen-printed my contribution. The record player featured is a classic portable Columbia GP3. Exhibition photos snapped by the talented Stuart Grimshaw. Bournstream is a local play and picnic site for children with special needs. In early 2013, they commissioned me to produce two murals for their site. With a wonderful launch, last month, the collaborative exhibition from Laura Wady and myself is now up in 'The Snug' in Tobacco Factory's Cafe Bar and on til the end of December. I don't often put on an exhibition of my own work and I've never done an exhibition quite like this one. Regular client Tobacco Factory also have a hand in one of Bristol's best back-street boozers - The Barley Mow (not to be confused with the one in Bedminster, Bristol). 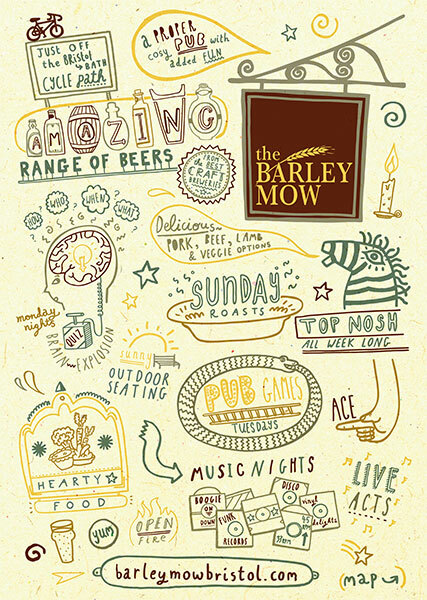 Via them, I had the rather lovely commission to visualise the regular pub happenings to fit an A6 promotional flyer format, complete with a simple, quirky map targeting some key local areas. The odd looking zebra is based on the pub's mascot - a charming, vintage wooden toy zebra. Making sure this was printed on high-quality, matt, thick pulp-board stock was important to the aesthetic of the flyer's hand-drawn, keeping-it-local and lo-fi focus. Cats are pretty special. But some cats go that extra mile. In this case quite literally. Over 50 years ago, France launched Félicette the cat aboard Veronique AGI sounding rocket No. 47 (October 18, 1963). Félicette was recovered alive after a 15 minute flight and a descent by parachute. Epic, I think you'll agree? In a small effort to promote those cats who, quite rightly, are famous in their own right - I present 'Cats of Fame'. 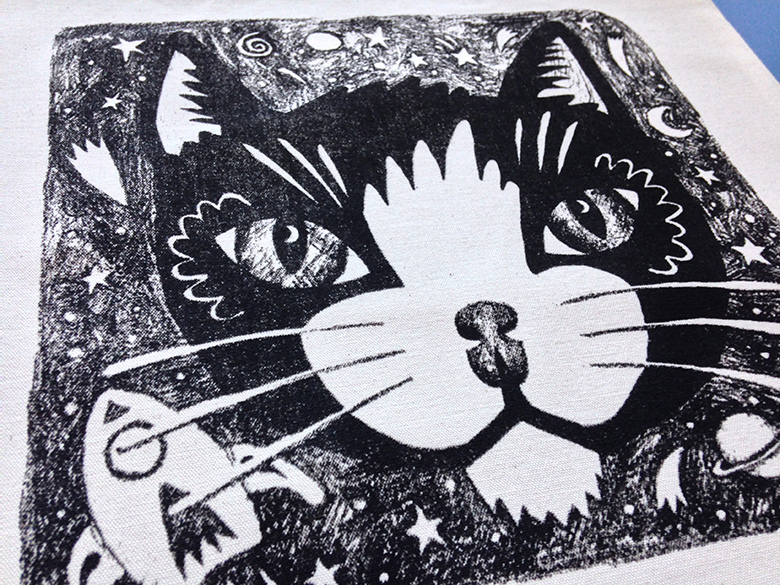 Kicking off with a very limited-edition run of printed bags featuring Félicette - the 1st French cat in space. Each bag is hand printed by myself. Drop me a line, if you would like one. Look out for more feline activity in the coming months.